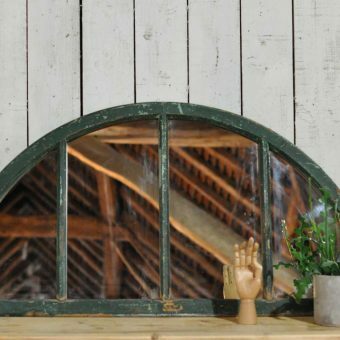 Home Barn’s lovely arched industrial window mirror would be a gorgeous addition to any room in your home or outside in a courtyard. 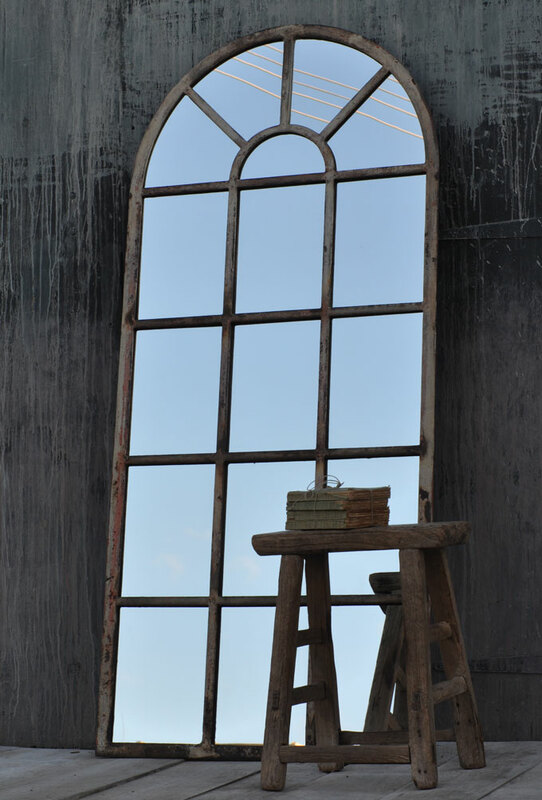 Our lovely arched industrial window mirror is full length and is an original vintage warehouse window. It would make a fantastic addition to a hallway or landing area to add light and space to the room. 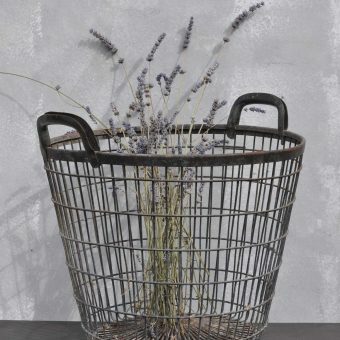 It would also look amazing in a courtyard garden to add an industrial feel. 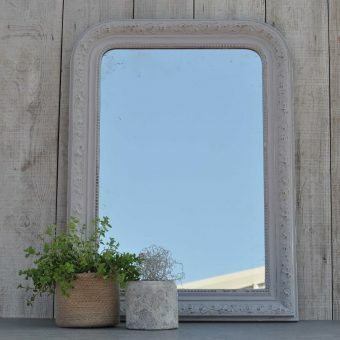 To see our cast iron mirrors which are perfectly suitable for gardens please click here for our mirror range. Made of solid cast iron, the framework has an original white painted distressed framework, covering some areas of natural rust spots. 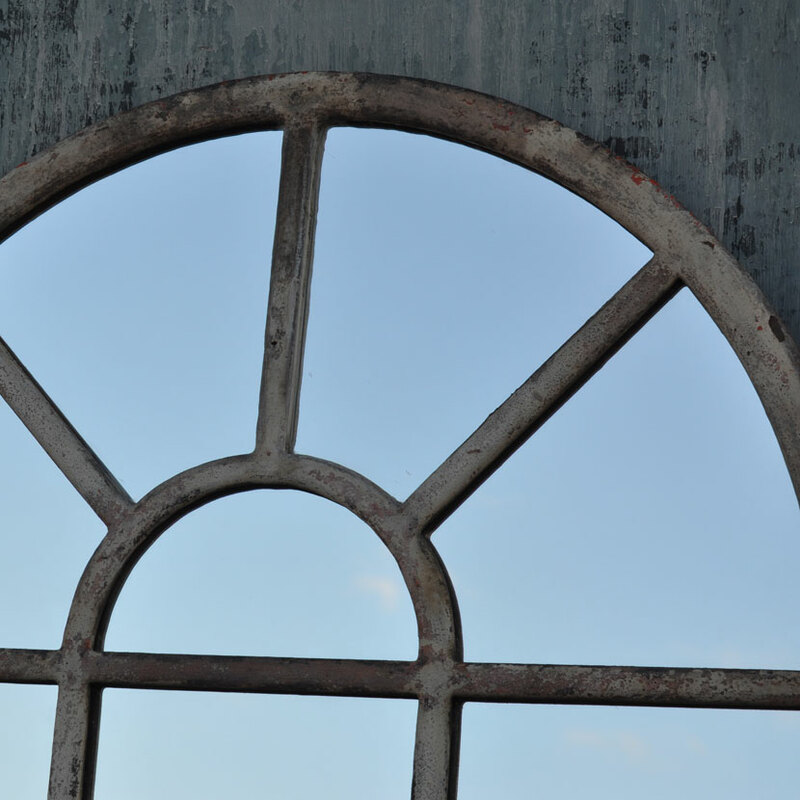 This arched industrial window mirror has 17 panes of new glass fitted to the rear. Due to the size and fragile glass, we would need to ship this mirror with a specialist courier. Please contact us with your full address and postcode and we will get back to you as soon as possible with a quotation. 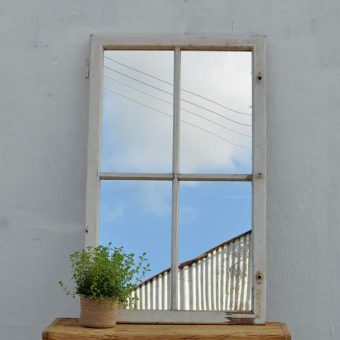 SKU: Full length arched top Tags: cast iron mirror, industrial, mirror, vintage, warehouse window, window, Window Mirror.